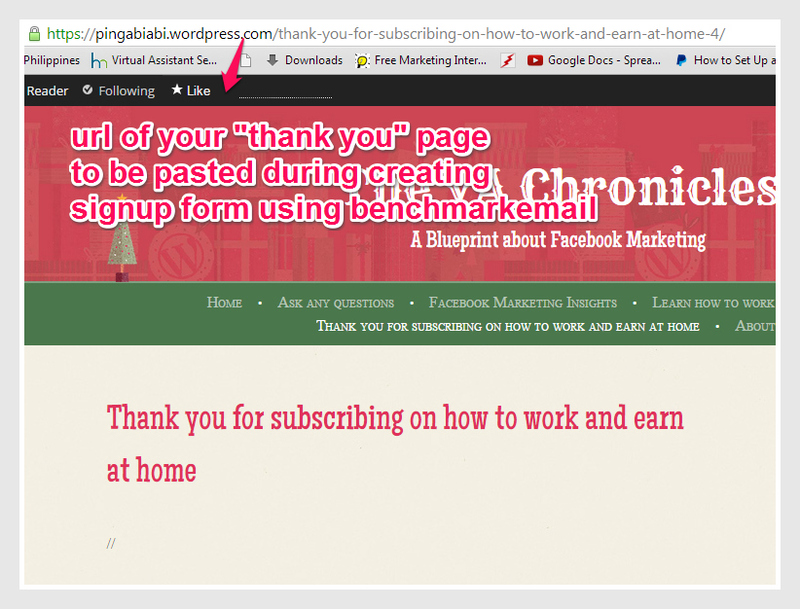 The next thing we will do is to create our “Thank You” page. 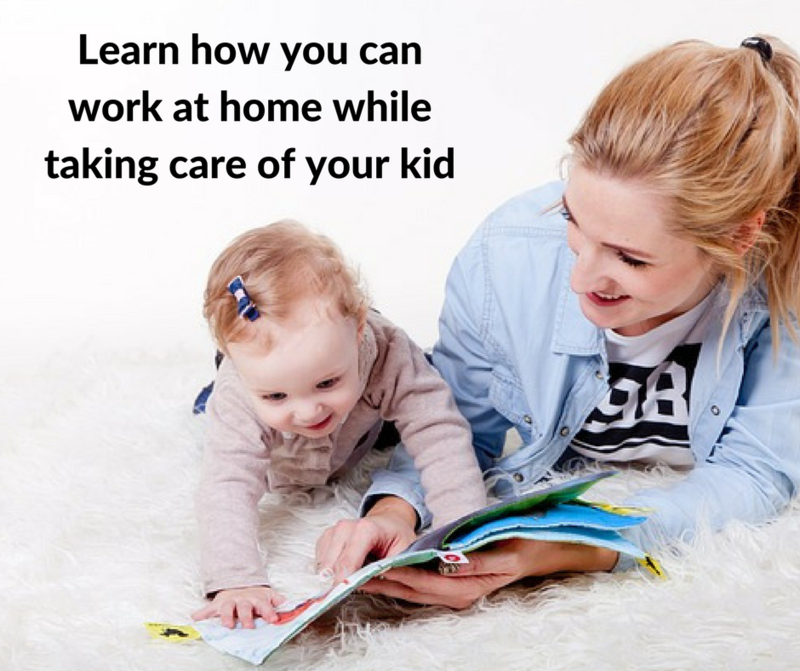 It is just easy as one, two, three! 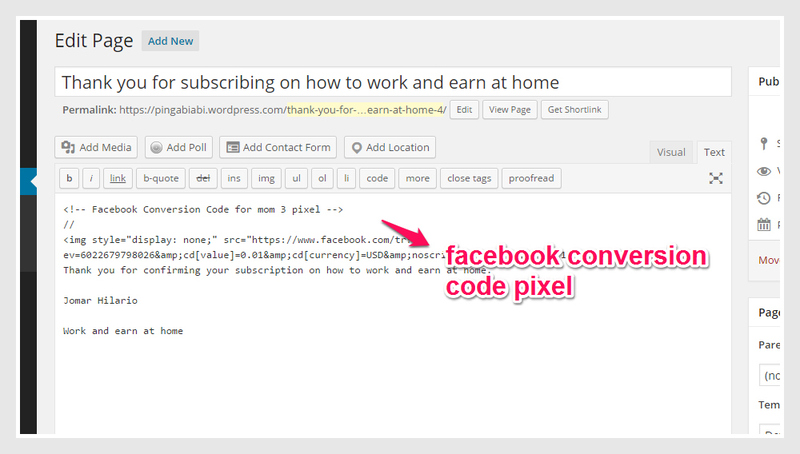 Third, the Facebook conversion code pixel will be pasted once you are done with your Facebook Ads in Power Editor. 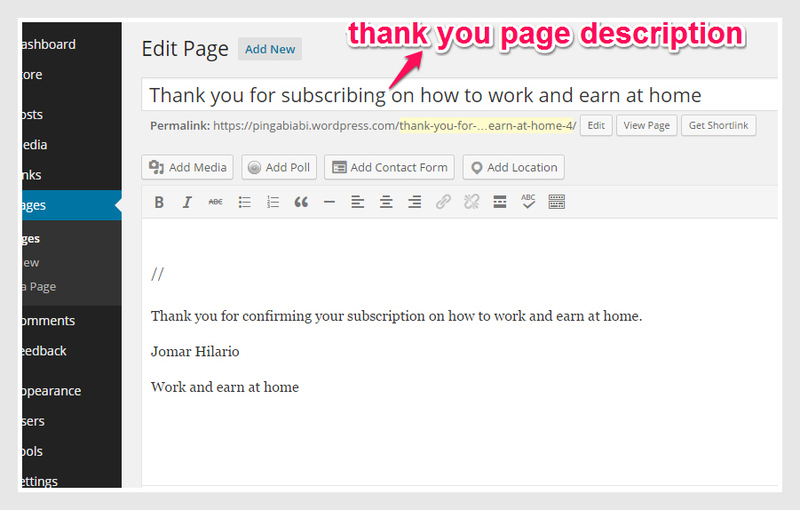 You just copy and paste the pixel in your “thank you” page under “Text” portion. 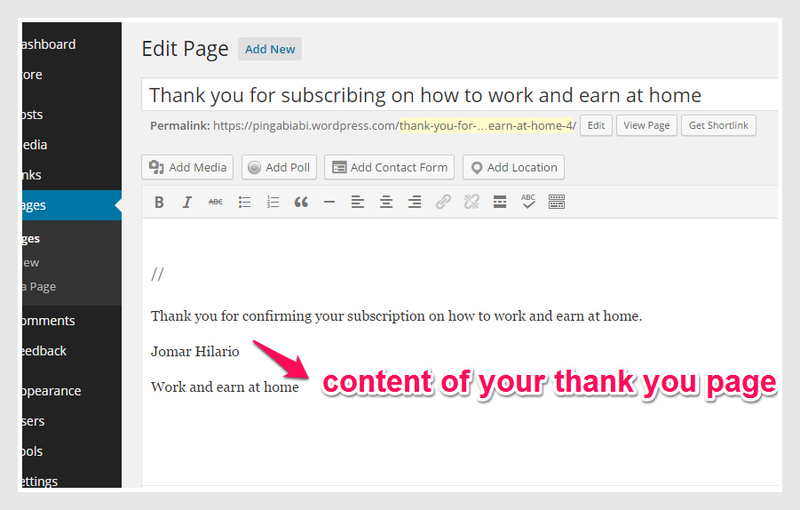 The purpose of the pixel is to count the number of people who confirmed the subscription upon clicking it in their email. 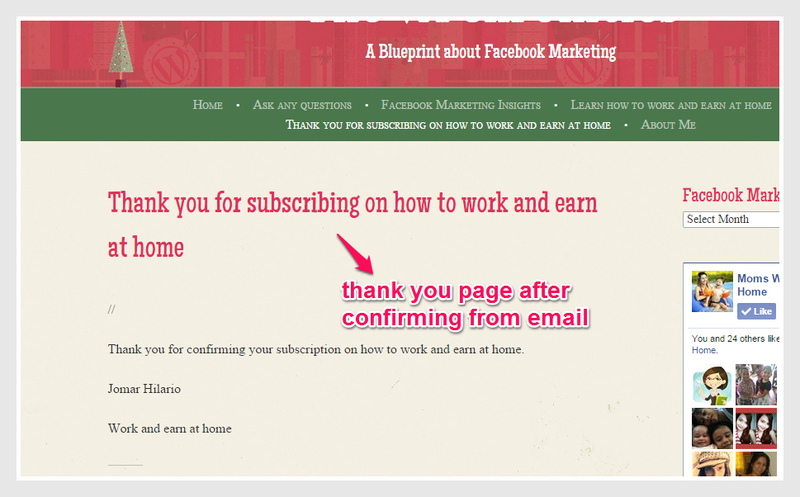 This procedure is usually the last one after creating the Facebook Ads. 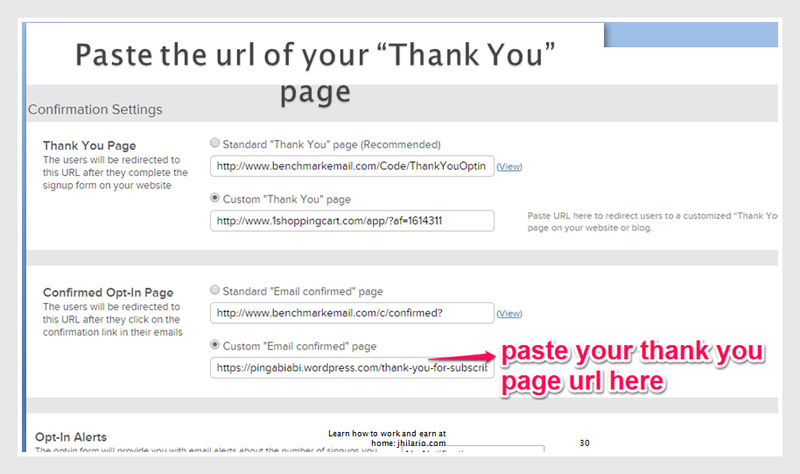 Fourth, the url of your “Thank you” page will be pasted during creating your signup form using benchmarkemail.com. 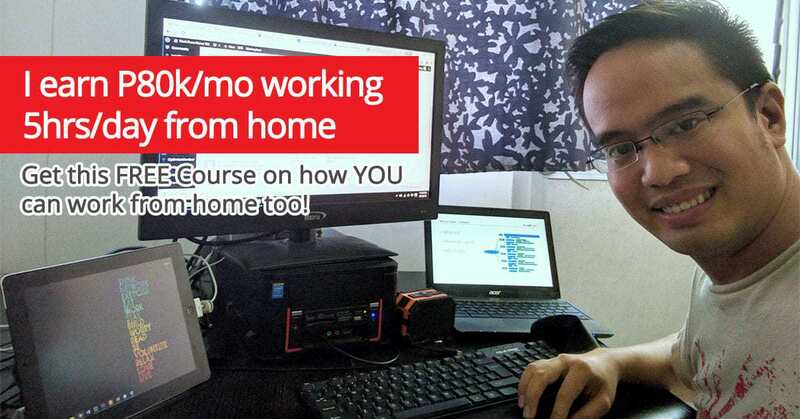 Remember the affiliate link to be pasted? The one below after pasting the affiliate link.